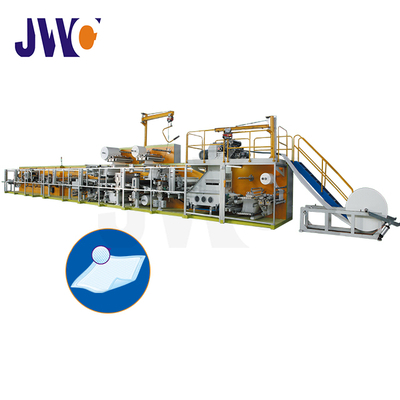 Width 600mm-1200mm can be customized ; length can be adjusted within 400mm-1800mm. 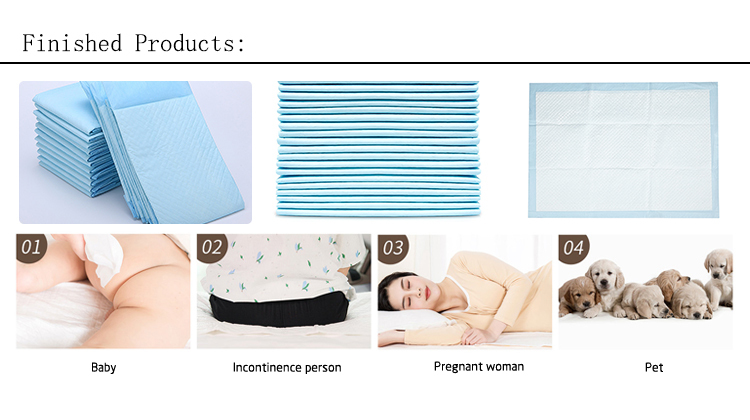 can be used as adult pads,hospital pads,incontinence pads, childrem sanitary pads,bed pads,incontinence pads for adults, pee pads for bogs, dog training pads, medical pads,puppy pads etc. 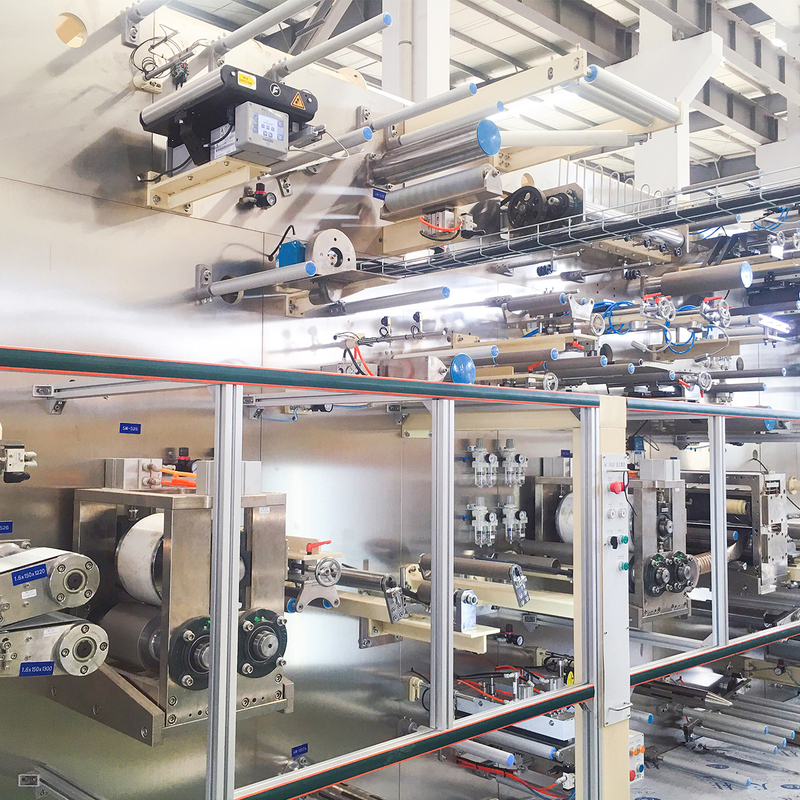 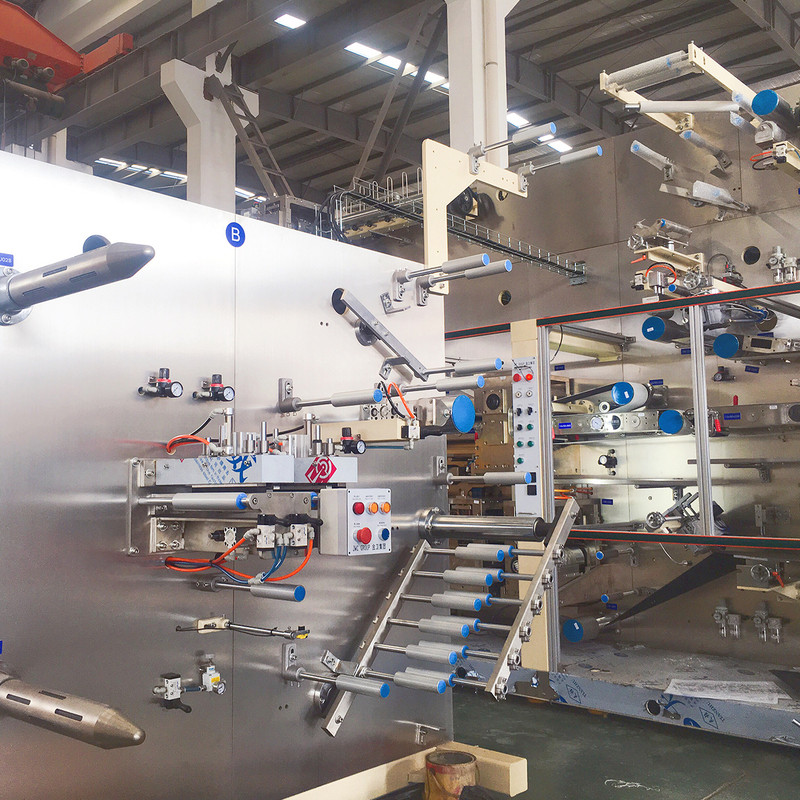 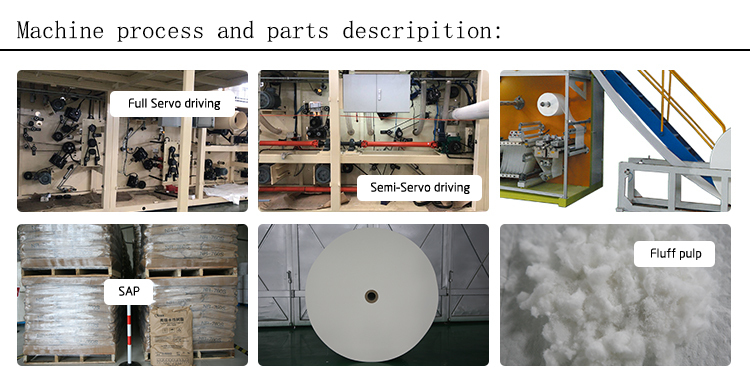 The underpads production line includes main machine, Nordson glue applicators, packing system and other accessory equipments, for example: air compressor, vision detection system, perfume feeding unit.